Brichi's Lit Spot | Up and Coming Books for the Urban Middle Grade Reader! This past Wednesday, August 15, School Library Journal held their annual online conference for FREE!!!!!! There were so many choices for selection. I found myself literally virtually attending double sessions, even though I would be able to go back and catch the video. There was just something about being there LIVE that brought the energy! She knocked it out of the ballpark to those that caught her opening address which expressed the needs for representation not only in the books we read, but literally in the classrooms of K-12 and Higher Education. She mentioned the absence of voice in today’s curriculum-chase to master profit-driven standardized tests, which has resulted in the absence of opportunities to exercise student voice. Her comments on the need to address POCs history and cultural differences which causes us to see with a totally difference gaze than those from the dominant society were so spot on, I felt like I was listening to a testimony in church. While I’ve gushed on the opening session, I still must say one of the sessions that stood out for me was the Readers’ Advisory session which featured the best advisory praxis for the year from five public and school librarians around the country. I can’t think of which one I liked the most. There was the social justice presentation on “Reading Woke” presented by a school librarian and another that matched hip hop and rap turns to books, based on how well the lyrical content matched up with context of the novel. What makes this book stand apart from other titles of this sort is that it gets the death out of the way; it gets the actual experience of opioid use out of the way; AND it pushes the impact the death and use of an opiate has on those that are left behind front and center. Many who work with rehabilitating drug user will tell you that the user has no care for the trauma they bring to their families and love ones. They will use them as they use the drug…until they use them up. Even the drug addict that does care can’t control the physical need for the drug over their emotional senses. This is not the case in That Night, however, for Kayla was not a user, Kayla was curious, someone whose first experience with opioids was the last. The huge one was the knee injury she suffered from playing soccer. If anyone has an athlete in their home, they have experienced the desperation these children go through to get back on the playing field when they are injured. Some don’t seek out medical coverage for fear of being medically benched for the season. This causes so many to play on the injuries, and this leads to prolonging and/or exacerbating the extent of what has been hurt. Perhaps it was because they were fearful of her becoming addicted to the same thing that killed her, for it is well known that opiates have been used for centuries as a painkiller and that it is in many pain-killing drugs, In a manner, this was one of the issues that really bothered me: the obsession of not having Kayla labeled an addict and the ignoring of her need for comfort from the knee injury. As a reader, I found myself in constant irritation with the adults, due to the one fact that they refused to acknowledge and attend to her complaints and needs. Just as Todd and Edward’s research* on the informational needs of teens who were addicted to drugs that looked in other places for help when no info was available in any of the libraries they went to (2004), youth do the same thing for almost anything they need help and information on. Their sense of inquiry and need is so strong that if they can’t find it in one place, they start seeking out help from other places. This can lead to serious trouble if they are not monitored, as in the case of Kayla. The loudest message for me is that the rampant availability of drugs in this country has so penetrated our society that it is now well ensconced in white middle-class America. I say this because the use of drugs and its presence has been so stereotyped as an inner city issue involving the poor and people of color, until it seemed that no one even realized that the drug dealers who were selling to the users in the city were also selling in the suburbs and decided to increase their services where patrons could afford higher prices. It’s an even more scary issue that inner citer parents who have worked so hard to get their families out of the crime-laden inner cities, can’t get away from the drug sellers in the suburbs, and that suburbanites with history in the burbs can no longer see a safe future in a place they have lived for generations and felt as if they were safely cocooned from street crime. To truly say this is one of the worse social issues we face in this society is an overstatement, for I feel the worse is that we face is that we are a country that fails to provide medical benefits to all its citizenry. Our second worse social issue is that we are a country of wealth that grows food to feed the world, but not to feed us. It should not be an embarrassment that you are not rich enough to afford basics. Our third is that with all this land and lumber and abandoned homes, there are homeless people. My fourth is that I find it so strange that we can’t stop the illegal sale of drugs in this country when we know who’s selling, where they live, the route the drugs are delivered in, the dropoff points, the international points of origins. . . My only answer is for this to continue in the manner that it is seen by the average citizen is because some folks in high up places are getting some pretty big payoffs, for this to continue. The federal law enforcement and Drug enforcement are simply not that stupid. Cecily’s books, which include That Night, are available on Amazon. Click the screenshot to go to her Amazon author site for more information. Please click on the screen below to go to Day 3’s Interview of author Cecily Wolfe. *Todd, R. J., & Edwards, S. (2004). Information seeking and utilization in relation to drugs. In M. K. Chelton & C. Cool (Eds.) Youth information-seeking behavior (pp. 353- 386). 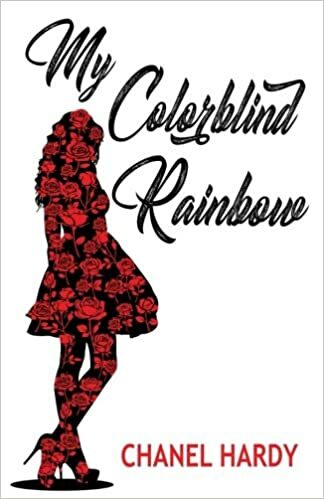 DAY 2: Welcome to Day 2 of the Blog Tour for My Colorblind Rainbow! This is a repeat of my previous review posting for My Colorblind Rainbow. Since then, author Chanel Hardy has published two additional titles: a mystery-horror Was It Her? (print and ebook format), and the retelling of Mahogany Tales: Modern Urban Retellings of Classic Fairy Tales. A historical fiction that reads contemporary. Hardy, Chanel. My Colorblind Rainbow. 132pp. Self Published. $8.99. ISBN978-0692973875. Ages 13 and Up. The feedback given by young girls who have read copies of this title have been spell-bounding positive and the feedback by adults more in the negative, of which based on the conservative state I live in, comes as no surprise, yet I am angry at our still slow catharsis move to open-mindedness (sic: don’t know if it’s a word or not) and acceptance. Touching on the taboo subjects of colorism, race separatism, religious didacticism of the black church (simply from a personal) and acceptable societal appearances this book provides much food for thought and dialogue by its readers. Although I have mentioned the black church, this is prevalent at extreme measures throughout a plethora of religious practices. It’s just my experience in the black church amongst a people that are suffering…to be taught that God’s love is for all people and to go against what is natural to them and ostracize that child from the family circle as was done in this book, due to pride and societal backlash, is insanity to me. I as a mom that carried a child in my womb for nine months and pushed it out to this mean old world would never send that child into the world unprotected from my love, shelter, and support. But these things have always been done and still are, which is why the book reads so contemporary-like. There is a serious need to address colorism within cultures of color. As long as there is melanin production and skin tone hues, this will exist and as long as we try to act as if this is an insult to our sensitivities, there will be no healing. Colorblind Rainbow, in its compactness, has managed to address this issue from the historical pretense of Durham, NC in the 1940s. This was not the primary purpose, however. That purpose was recognition of the issues faced by one black and one white American adolescent female who identified as lesbian and yet stood up against the pressures of their world to embrace their love and attraction and suffer the consequences. 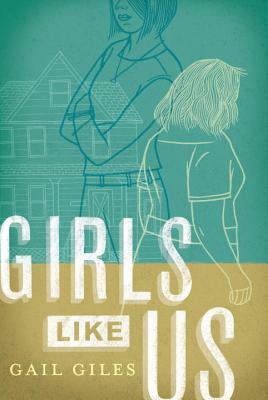 What makes this book an easy stand-out is that it is historical but reads contemporary due to the gender identity issues. I have personally not read anything addressed to the teen reader that is so direct in the issues of segregation, racism, and gender bias all rolled into 132 pages. It’s short and punching and controversial. In dialogue with some of my white peers, it has been received as text filled with stereotypes. In dialogue with black peers, its an attack on the inside issues of colorism that CONSTANTLY gets pushed to the side and the lacking of social justness from church and society on LGBT issues and the extensive acts of rejection that is dumped on these youth, which is yet another play on the “blind” in colorblind. When you don’t mention it, it doesn’t get addressed. In this book, the blindness was of race, religion, and gender binary, and it certainly is mentioned in what I might say as an eloquent and clean write. There are stereotypes, but I found that more in the black character’s move to Asheville and the white character’s move to the Village (NYC). There’s also the biases that all white people are racist, of which we know is not and never has been true. As Dr. King said in his B-ham letter addressing the issues of whites and racism: the problems will continue to fester due to “the appalling silence of the good people”. So the issue is not the racism of all white people but the silence of those in the majority in reference to the injustice. We are still not a kumbaya society, as some people think and I personally don’t believe in placing a silencer on issues, but at some point in our development, we need to start teaching truth in our educational system. Why did it take Trump referencing a Caribbean nation as a pigsty for the news to bring to our attention that nation’s contribution to our own nations fight for freedom to the point of memorial statues placed in public squares in commemoration of members of this nation’s valor? At this point in our country’s development, I am also tired of explaining to someone in the majority why something done to a member of a minority is not fair. Obviously, if it needs explaining…something is wrong. Many blacks do not like to talk about their intra-group prejudices and are more comfortable speaking on how society treats them on the whole, when in fact, society has also caused them to develop mannerisms against their own kind, due to historical preferential treatment modeled in slavery. This colorism is not just a black American thing. Just look at the pushback experienced by Amara la Negra, the Dominican singer who prefers to wear an afro than a more accepted long and straight hair weave. This stuff is a metastasized wart. Many whites are uncomfortable in having these discussions. Many people of color try to not bring this issue up in fear of hurting someone’s feeling, and some black and whites even accuse those that approach the conversation as over-reacting, preferring to overlook the bumps. This leaves the typography of race, social, and gender biases with a lot of festering sores. Follow Us to Day 3 of our Tour and the Long Awaited Review on In the Margin’s Website! I simply must say that I can’t remember ever reading a book that covered such a difficult subject as gender identity, suicide, teen pregnancy, child cruelty, and mental and emotional abuse…without closing the book and never picking it up again. Such sensitive subject matter is difficult to understand if you’re on the outside looking in, and even more difficult to share if you are the one trying to navigate through the barriers thrown your way. Unless you’ve known this world and/or lived it, you cannot speak its truth about it. Nina Packebush, in this instance, is a speaker of truth for these youth, who are among our most vulnerable young adults. Her gift as a nurturer transcends the narrative she wrote to serve most definitely as one of the guidepost texts needed by this population, so that they may know of their possibilities for success in moving forward. As I read of sixteen-year-old Banjo’s mishandling by the psych doctors in the hospital, my rage was soothed by the masterful way in which Packebush could hold the reader’s attention and gently move readers through the contextualizations of the misrepresentation and mishandling of a sixteen-year-old who has experienced severe emotional trauma from her partner’s horrific suicide. A teenager who also shares the parentage of her unborn child with that same life partner, who is now tragically no more. Nina’s skill makes it possible for the reader to reach the critical point in her text where Banjo attends the appointment with her new gynecologist, Dr. Alice Dr. Alice a medical professional who identifies as lesbian, knows how to deal not only with gender identity issues but teen pregnancy because of her own personal experience as a teen mother. From this point on, in the story, a safety net seems to emerge that was due to: the emotional damage occurring within Banjo, due to her loss; the decisions that were to be made about Gracie, her unborn child; her relationship with her family; and her clouded view of what success in life and what healthy relationships looked like. Teen Pregnancy for teens, in general, is on the decline. Awareness of pregnancy among queer teen populations, however, needs a more broaden platform for advocacy. As the reader-observer, one can find themselves worried about poor Banjo’s rewiring and the efficacy she needs to build the self-esteem to move forward while not giving up on the unborn Gracie. With concern to this aspect, I literally found myself as chief-cheerleader-in-charge to bolster support for Banjo’s single-parent family, headed by her mom to click in and not let Banjo allow Gracie to be adopted, to do something to let Banjo know she is loved and accepted for her sexual identity and not marginalize her, to kick into self-healing to save their family unit. With this, of course, being a choice issue, I can’t help being a soppy romantic at my core, which will find me always rooting for a “happy ever after, if there’s even a crack of daylight left at the end of the tunnel. With so much emotional undertow, I was surprised at how Nina’s God-gift yet again pulled me through the text. I was even able to make it through the flashbacks of Gray’s suicide, which is literally the part that might be the most difficult. Gray was Banjo’s gender clear partner and the other parent to little Gracie. Without blowing the storyline by sharing their death scene, I do applaud the author in not brushing over this part of Banjo’s story, and incorporating it in flashback with Banjo and Lou, who revisited it for closure at the end of the storyline. My personal breaking point which is reflected of how seamless this story was woven, was when poor little Rags, Gray’s dog, saw the old apartment where Gray lived for the first time since their death. I found a knot beginning to form in my throat, and realized at that point, how involved I had become in the story’s context. So with tears softly rolling down my cheeks, for the first time in a long time, I read. I read and let the tears fall as a release, for the tears had wanted to come at so many moments within this story, but had never surfaced. They literary built up in a repository, unbeknownst to me, the reader, until the eternally happy Rags became center stage. I can also add that most readers will be more than satisfied with the quality of how the author chose to end the story. It was not rushed and didn’t feel choppy. It simply flowed into a conclusion with logical order. The quality of writing is unquestionable. I have always been aware of gender choice, but feel honored to have had the chance to be introduced to the dilemma of teen pregnancy issues facing queer teens, as well as being made aware of the rising identity of gender clear youth in our society today. I could not recommend a better manner in introducing these issues than through such a wonderful title from Bedazzled Ink publishers. Thank you, Nina. Keep writing the stories we need to hear. The youth you write of are our children who are in our care. Their stories should not be cast aside. Nearly a decade ago, Chimamanda Ngozi Adichie reminded us to never look at situations through one set of lens, for there is more than one story to be told. Several have referred to this title as groundbreaking in that it combines teen pregnancy issues with gender binary. No other known YA novel has approached this complex dynamic. If there is another title out there, it is in a deep state of hiding. Critical theorists refer to text such as this as “Enabling” because of the capacity it has to guide the troubled adolescents who are suffering from disconnect and disengagement, back from their dark holes and valleys. Adults who serve as advocates for our underrepresented children should be made aware of text such as this and the healing power it possesses. For librarians and classroom teachers who are concerned with defending issues relating to controversial issues in this title, be assured that the author of this title has been very mindful of how the text presents itself Its powerful message is absent of unacceptable explicit language and contains no illicit graphic scenes, making it an excellent choice for collection holdings in public, school, and classroom libraries for ages 13 and up. In my opinion, this book will have a lasting impact on our contemporary canon due to the readability and historical update of the narrative on the subject matter of Emmett Till’s murder conviction, which was changed due to new information first by his cousin, Simeon Wright, through the publishing of Simeon’s Story: An Eyewitness Account of the Kidnapping of Emmett Till , as documented in a news coverage. The second impact on Emmett’s death was the surfacing of Carolyn Bryant, who after 60 years breaks her silence by standing up against the intense fear she felt due to threats that forced her to lie under oath. With all of this, author Jewell Parker Rhodes was led to document the change in the story for children, using the voice of Emmett, himself as one of the characters in what became Ghost Boys . The strength, wisdom, and leadership that Emmett’s character emotes is reflective of the change the emergent information caused in the narrative and in the lessons Emmett learned in his place as leader of other youth who ended up in his afterlife world, due to similar conditions that resulted in their deaths. 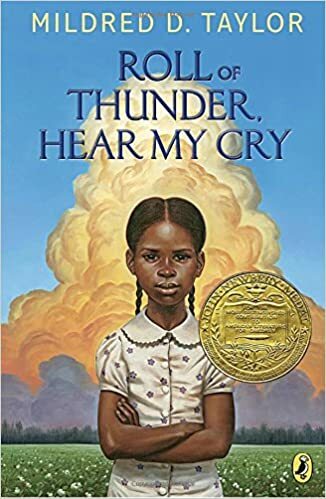 I truly believe this is one of the new historical fictions we will turn to in curriculum as mentoring text, just as we have done so with Julius Lester’s Day of Tears , Mildred Taylor’s Roll of Thunder, Hear My Cry and Laurie Halse Anderson’s Fever of 1793 and Chains. In a conversation on Facebook, I responded to a request for suggestions on what to do when your administrator says no to the reading of Ghost Boys at the end of the school year. Having grown up in the South knowing adults who feared for their children’s lives due to the conditions of segregation they lived under and having grown up in a small town that refused to be silent against such heinous acts that forced other places to be silent, I knew silence was not the answer. Voice and trust were needed to stop all wrongs AND seeing today, how the silence is still in tack, my heart broke. My heart broke over knowing the anguish that school librarian felt over being rejected, rejected with no explanation. We’ve all been there, and I couldn’t help but feel for this librarian and admire the brevity of title-choice, which is what caused my heart to respond in such a manner. It ached as I wrote my response to the post over the loss of the experience the youth in this librarian’s lit group will not get to be guided through navigating the complicated issues that author Jewell Parker Rhodes spent time to research and present in a manner that youth could understand. 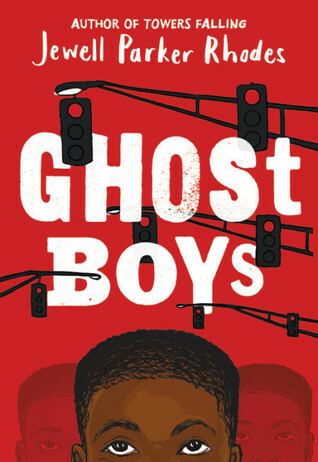 It ached over the lost opportunity they will miss in experiencing this important book in a group and with adults who would have made themselves open to provide facilitation support for better understandings, for Ghost Boys is a hard hard emotional book! There are so many layers: Emmett Tills’ corrected story: the harsh unbridled details of murder due to hatred; bystanders in both cases in the book (protagonist and the Emmett flashback); current-day police aggression on young males of color; utilization of body-cams video; testimonial statements from authority sworn to protect; silence from unscrupulous cover-ups; AND if you think the racism discussion is the hard part, the discussion of ancestral belief which is an undercurrent of spirituality in the book will challenge views of religion and origin stories. I think, before even reading this book, a lot of up-front prep is needed. The students, as well as everyone else, is aware of police aggression but the other subtleties IMHO cannot be overlooked. Due to the fragilities of so many folks with buy-in to the library, I would approach it from a healing perspective, for the book’s protagonist truly wanted the officer’s daughter to heal the rife his death caused. The father showed remorse but never said so. That is the part I would use as a promotional. 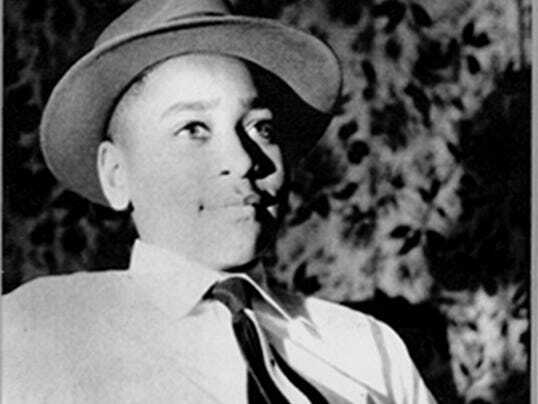 I would even critique the reviews and explain to my administrator how there is something way more powerful than what the media frenzy shows daily from the murder of young black males…for the silence of the Emmett Till witness is the example of the same silence we are experiencing today with our social and political needs. Silence is a sign of fear and fear does not solve the problems. It takes on hostages and smothers your actions. So, the impact of this book is in the historic silence that our youth today should be armed against doing. The silence in both stories is reflective of society’s silence, which is why so many things keep repeating without correction…the silence and the fear of the loudness…In Ghost Boys, the noise, the silence, the fear, the anger, the history of it in the past, and the action of it in today’s world is all layed on the table for deconstruction…a blueprint for fixing the leaky pipe.